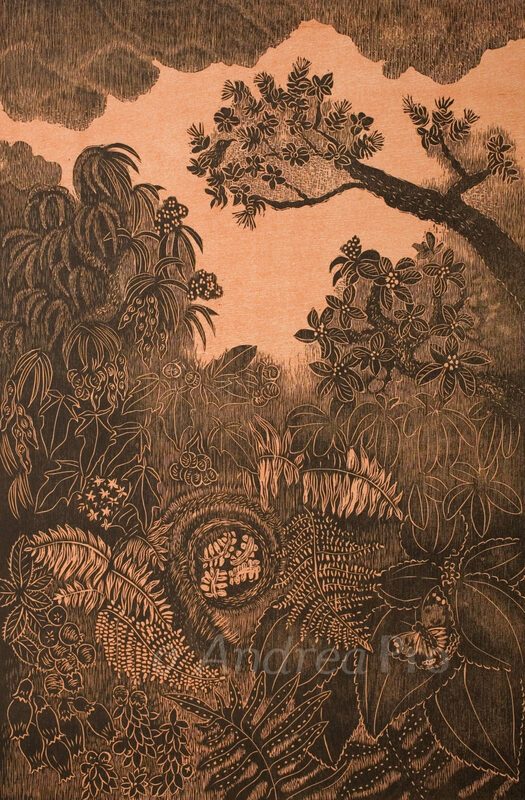 This print captures the essence of the Hawai’i rainforest from the understory, including Hapu`u and Laua`e ferns, Ohelo Berry and Mamaki, up to the canopy of the Kukui, `Ohi`a, Koa and Sandalwood. Notice the Kamehameha Butterfly and `I`iwi collecting nectar and spreading pollen to create new generations of growth. The rainforest is held between the earth and the sky, absorbing nutrients and sustenance from both.